Take genuine care of your Toyota with Genuine Toyota Parts. As a Toyota owner, you know you can depend on your vehicle for many miles to come. Toyota OEM parts will give you both peace of mind and total confidence for all those kilometers. Genuine Toyota Parts have been engineered to meet Toyota’s safety, reliability, and functionality standards. Funk's Toyota Parts Department carries a comprehensive inventory of genuine Toyota parts and Toyota accessories for your vehicle. 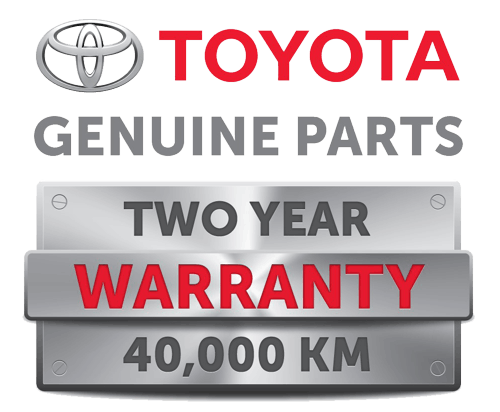 All Toyota parts that we carry are OEM Parts; Original Equipment Manufacturer (OEM) parts are supplied by the same source that originally equipped your vehicle from the factory. This means that all of our replacement parts are guaranteed to fit your vehicle and match its finish perfectly. If visiting Funks Toyota in person doesn’t fit your busy schedule, just complete our online parts quote form and a Toyota parts specialist will contact you right away. We carry car parts for all models, and if the replacement parts you require are not in our inventory we can order your auto parts in and have them ready for you right away. We carry auto parts for all models including the Toyota Corolla, Camry, Avalon, Prius, Sienna, Venza, and Yaris. If you have any questions about your specific model, feel free to contact us and our skilled parts staff would be happy to assist you. Funk's Toyota is an excellent source for your Toyota truck parts, replacement parts, SUV parts, and accessories. If you’re looking to customize your Tacoma, Tundra, RAV4, Highlander, or Sequoia, we have a wide range of Toyota truck performance parts that will take your vehicle to the next level.